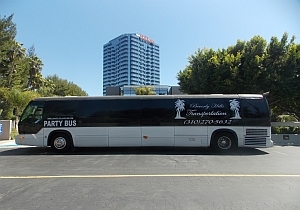 Los Angeles Party Bus Rental provides some of the coolest party buses in all of Los Angeles we have party buses that can hold as many as 52 people! 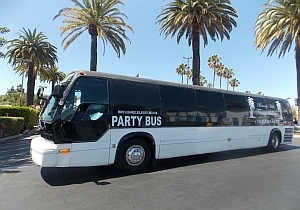 These party buses can service Vegas trips, Proms, Birthdays, and Night Out's, Bachelor Parties, Bachelorette Parties, Wine Country Tours and more! 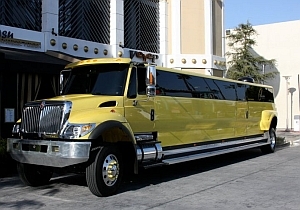 These fine Party Bus Limos are some most luxurious rides in Los Angeles for all types of events Especially Prom, which is why Prom Party Buses in Los Angeles should be reserved many weeks ahead of your prom day. 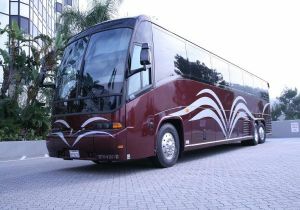 Limousine Buses in Los Angeles are very luxurious and are used no matter the event; you'll make hundreds of heads turn when you are cruising in one of these Limo buses. The party will never stop these vehicles are mostly all equipped with a dance floor and a stripper pole so you all ready know the fun is just beginning! 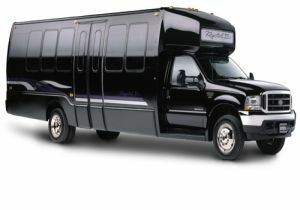 These new means of transportation are huge that is why we hire professional drivers which already have experience with vehicles of these sizes. Some people may ask why are these buses so huge, and we reply by saying the bigger the better! Our clients have enough space to fit all their friends in and still have enough space to get their party on without having space issues. 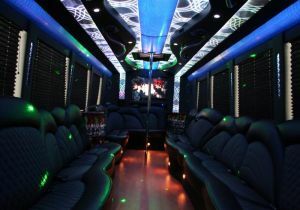 This Party Bus Features : Hardwood Flooring, Dance Floor, Stripper Pole, 50" Plasma Tv, Lightup Ceiling, 2 More Plasmas, Fog Machine, Bar, Lasers, Strobe Lights, Sattilite TV, DVD & CD, and more! 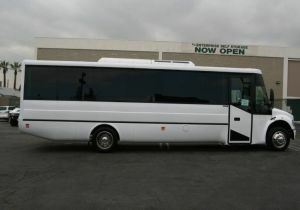 This Party Bus Features : Disco Floor, Color Change Ceiling, Stripper Pool, Huge LCD TV, Bars, Stobe Lights, Lasers, DVD & CD and More! 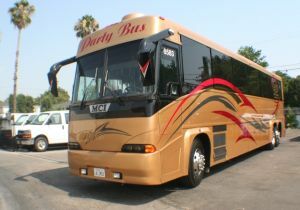 This Party Bus Features : Hardwood Flooring, Plasma Tv, Stripper Pool, Lightup Ceiling, Strobe lights, Bars, CD & DVD, and more! 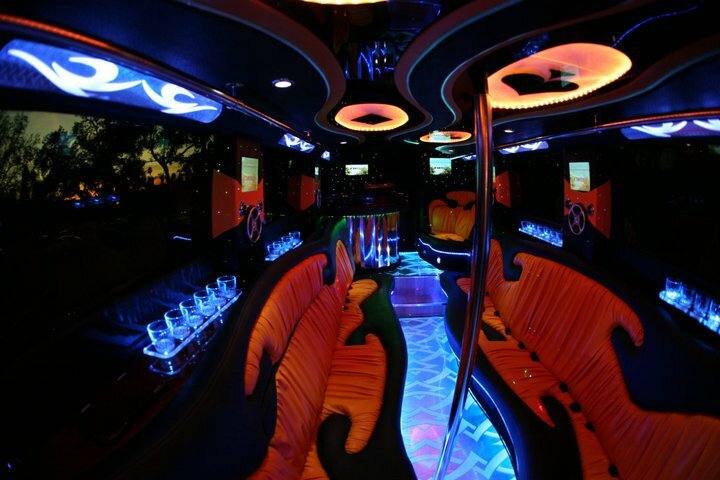 This Party Bus Features : Big Plasma Tv, Carpet Floors, Bars, Lasers, Strobes and more!